Frances Virginia Harris, age 84, of Lawrenceburg, TN passed away Saturday, September 29, 2018 at NHC Healthcare of Scott in Lawrenceburg, TN. 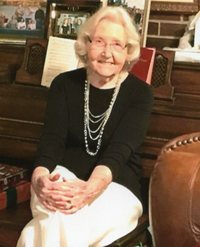 She was a native of Loretto, TN, retired from Lawrence County Board of Education, and a member of Lawrenceburg Cumberland Presbyterian Church. She was preceded in death by her parents, Jim and Fairy Morphew Plunkett. Arrangements are being handled by Neal Funeral Home, 231 N. Military Avenue, Lawrenceburg, Tennessee. The family will receive friends from 4:00 PM to 6:00 PM Sunday, September 30, 2018 at Neal Funeral Home. Funeral services will be conducted at Neal Funeral Home at 2:00 PM Monday, October 01, 2018. Interment will follow at Mimosa Cemetery in Lawrenceburg, TN.